“Déjà vu.” Have you ever experienced it? The familiar thought that you’ve been somewhere or done something before, but you can’t quite figure if these strong thoughts translate over to reality. Reincarnation or past life theory are a few explanations. While hard to prove, this story actually does a good job at it. A 3-year-old boy started telling very strange tales about his so-called “past life.” Obviously his parents didn’t take him seriously. Imaginary friends, talking alone and believing in the tooth fairy are all standard behavior in children. But things took an extremely bizarre twist. 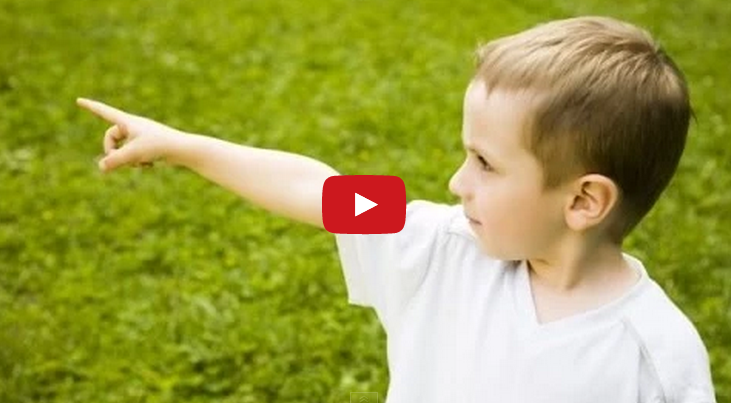 This kid leads his parents to the spot where he claims he was buried after being murdered! Whoa! These parents had to give in to the kid, so they actually started to dig. And what did they find? Oh, not much, just a HUMAN CORPSE! It get’s better. The kid then says he was murdered with an ax, and led them to where the actual ax was buried! The red mark on the boys forehead is a peculiarity, but one which the boy has an explanation for. It’s where he was struck with the ax! Even creepier is when the kid was able to reveal his old name, where he had lived, and here’s the shocker – who had killed him! The little boy even confronted his killer, who ends up giving in and admitting what he had done.